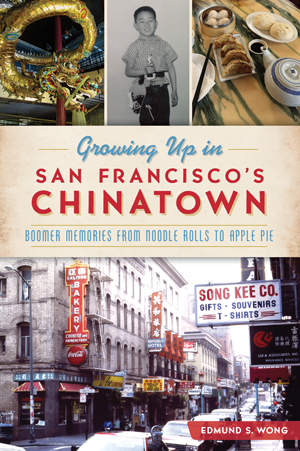 Chinese American baby boomers who grew up within the twenty-nine square blocks of San Francisco's Chinatown lived in two worlds. Elders implored the younger generation to retain ties with old China even as the youth felt the pull of a future sheathed in red, white and blue. The family-owned shops, favorite siu-yeh (snack) joints and the gai-chongs where mothers labored as low-wage seamstresses contrasted with the allure of Disney, new cars and football. It was a childhood immersed in two vibrant cultures and languages, shaped by both. Author Edmund S. Wong brings to life Chinatown's heart and soul from its golden age. Ed was born at San Francisco's Chinese hospital in 1948 and is a graduate of that city's Galileo High School. He used graduate degrees in Spanish and international relations to enjoy a long career in foreign language education. Since retiring in 2013, Ed has been busy with his writing. The Sea Takes No Prisoners: The Men and Ships of the Royal Navy in the Second World War is set to release in 2018. Ed has traveled the world in the company of his wife of forty years, Elizabeth. They live in Louisville, Kentucky.